This well made chime was manufactured by DeValera. 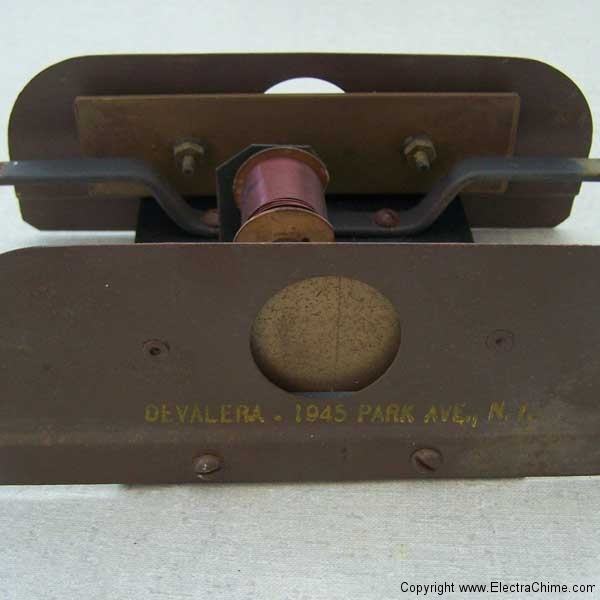 Not much is known about this manufacturer beyond that the company’s founder and namesake, Ernest G. DeValera had several patents for electrical devices in the mid 1930s. 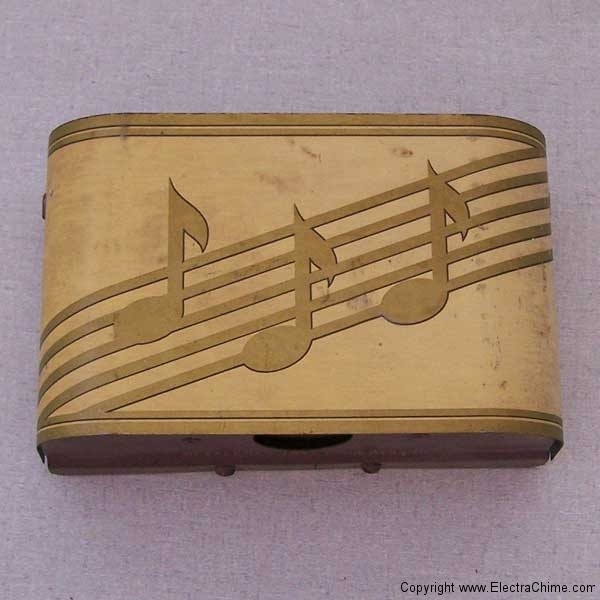 The DeValera company also marketed novelties including a miniature slot machine with poker chips for parlor use. 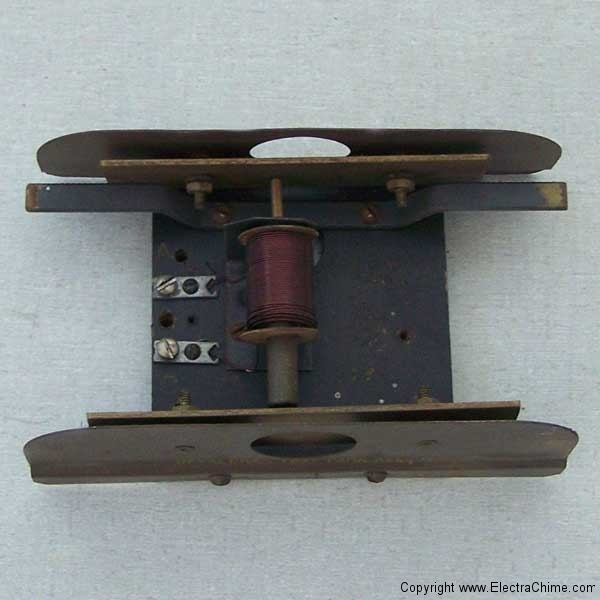 Components of this chime were used in the manufacture of DeValera’s long bell door chimes. Materials Lithography on steel. Iron tone bars. Wood base and wood striker.